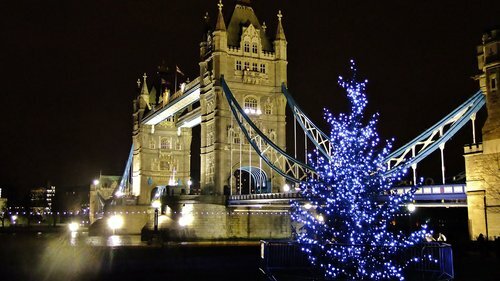 London’s iconic Tower Bridge plays host to families this Christmas time with the largest interactive Victorian wooden advent calendar in the country. From December 1st, children open an advent door a day and enjoy a truly adventurous time. Each will go home with a candy cane and an adventurer’s certificate. The way in which we celebrate Christmas today actually has its origins back in Victorian Britain. Families up and down the country began decorating Christmas trees with sweets, fruit, decorations and gifts in the mid-1800s after Queen Victoria saw how her husband, German-born Prince Albert celebrated Christmas with his family. Sumptuous feasts were enjoyed, parlour games were played, a national holiday was declared and a tradition was born. Over 150 years later, it seems fitting that London’s most impressive Victorian structure hosts a magical Victorian-themed Christmas event throughout December. This year, Tower Bridge will unveil a giant advent calendar crafted entirely from wood. It will replicate a Victorian toy and stand an impressive two metres high and seven metres wide. The impressive structure will be located in the South Tower under the animation screen. The entire area will be decorated in a Victorian Christmas theme, and six huge Christmas trees will be decorated and placed in and around the area. On arrival, children will be invited to pick a candy cane from a Christmas tree. One lucky child will pull out a candy cane with a magic mark on it. They will be asked to open the day’s corresponding door on the giant wooden calendar, which will unveil a traditional Christmas image. In addition to a candy cane, each child will receive an adventurer’s certificate to remind them of their festive magical moment. The calendar door will be closed again once each group has left, offering enchanting opportunities to as many other children as possible throughout the day. The advent calendar will be launched on 1st December and will remain open to visitors until 23rd December. Along with the advent calendar, Christmas trees and plenty of traditional decorations there will also be a ‘Letter Writing Station’ where children can write to Father Christmas, then ‘post’ their letter to him in a Victorian-style post box on their way out. This unique event will undoubtedly appeal to parents looking for somewhere different to take their children this Christmas. Steeped in history and tradition, it’ll be a far cry from the usual visit to see Santa in over-crowded shopping centres. This press release was distributed by ResponseSource Press Release Wire on behalf of Aneela Rose PR ( Rose Media Group) in the following categories: Children & Teenagers, Entertainment & Arts, Leisure & Hobbies, Travel, for more information visit https://pressreleasewire.responsesource.com/about.